Animals can not take a picture it runs quite well compared to many plants. Still, I would like to introduce a little bit. 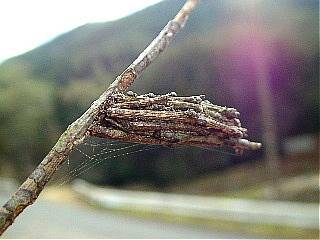 This photograph is a bagworm of [chaminoga] that exists in the plum tree [no] tree. When this adheres too much a lot, the tree might die. It has withered when is a lot of bagworms' adhering to the tree of the tea of my home, and without knowing how many. It seems not to be able to move the bagworm too much far away. There are a branch with a lot of straw raincoats and few branches, and the number is considerably different in each branch. It eats the bagworm by not only the leaf of tea but also the bark of the tree. The tree has only withering when becoming it so. 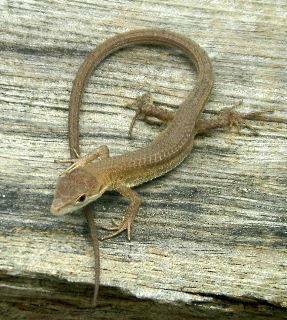 This is a picture of a child Nihonkanahebi fellow lizards. We often see blue-striped Skink. It was small and charming face. This is like a band because there is no color yet larvae are small body. When everything is put on one page without doing like this, the probability of becoming a hit by the retrieval decreases, and it becomes the result of your being not able to see. Moreover, it doesn't know and what is written when one page is large where or looking for is also serious. In short, it is SEO (Search Engine Optimization search engine optimization) and easiness to use.